"I came to running in my mid twenties, I had spent my childhood years as a circus acrobat mainly walking on my hands and so rarely used my legs in my youth. After I was forced to abandon my life under the big top following a particularly nasty human pyramid collapse ( it was never proven that I was to blame ) I took up a post testing strong french cigarettes which unfortunately had a detrimental effect upon my health and with the rich french diet that came with it I became disastrously unfit. As I approached my 26th birthday I decided to remedy the situation and cut down on the cigarette testing and decided to do some exercise, having been born with an acute allergy to bicycles and not having webbed feet I tried running, something I had never previously enjoyed. My first run was probably not even half a mile and nearly killed me, but I persevered and over the coming weeks I lost weight, felt fitter, smoked less and entered the New Forest marathon so I had something to keep me going. So six months later I completed my first marathon in 3:45. Over the next few years I quit smoking completely and ran off and on until after a break of eighteen months or so I joined BDRC in the March of 2014. I had always had a desire to run ultra marathons and the boost running with the club gave me the platform to do so and in September 2014 I competed in the Ladybower 50 mile race which was just over 51 miles long on a flat smooth course around a beautiful reservoir in the peak district, I managed to win the race in a new course record of 6:21 and had the pleasure of returning in 2015 to defend my title with the company of several club members who took part in the 20 mile race on the same day. Being with the club has taken my running to a level way beyond what I thought I was capable of and most importantly immensely good fun." 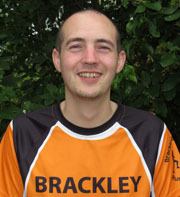 "Hi my name is Ian (Mazzo) Marriott, I live in Brackley with my wife Laura and our 3 girls. 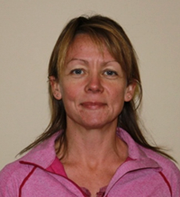 I began running in 2013 to help me lose weight and become fitter as I had just turned 50. A few months later in June 2013 a friend persuaded me to enter a local 10k race which I completed albeit I had to walk some of it. I was hooked and I set myself the challenge of completing a marathon which I did in Manchester April 2014. Shortly after that I joined BDRC and haven’t looked back since, I have completed several more marathons, two ultras (so far) and numerous other race distances. The Club asked if I would like to complete the Leadership in Running Fitness course in 2016 which I was happy to do and now lead some of our Tuesday and Thursday training sessions. " "Never one for team sports, however I enjoyed running and athletics at school. I’ve always loved keeping fit, Spinning, Circuits, Aerobics and Step were my favourite things to do. After my son was born I found it difficult to get the classes I enjoyed so started running with a friend who was also in the same position. Soon we were up to 3 miles but never ran further. I really wanted to improve and take part in events and join my best friend in the North east for the Great North Run. Just before I turned 40 I joined BDRC and my running improved week on week. I completed my first half marathon within 5 months and that year did the Great North Run for the first time in a Sub 2. I’ve gone on to do so many more short races, relay events, half marathon’s, marathons and June 2016 did my first Ultra. This has all happened with the support and encouragement from the wonderful friendships I’ve made at the club. Running is a huge part of my life and I hope to be still doing it into my seventies. It’s great to see new members of all ages and backgrounds, sporting or non sporting joining in and contributing to the club. Everyone brings with them something different and I truly hope the club continues to grow. " "My fitness journey began when I was taking my GCSE's. I remember studying over summer and snacking a lot. Inevitably the pounds piled on so I started some cycling out to Croughton and back. The first run I did was a 10k for the Joshua Foundation charity in 2006 where I supported a couple of friends. We did a lot of walking and a little bit of running. I didn't go back to running until many years later when I was geared up for a cycle ride and only got half way up my road before I was reminded that my bike was not roadworthy from the year before due to a mangled cassette and lots of wear and tear. I needed to burn off some energy that day so I went for a run instead. As I was a bit strapped for cash at the time running became my ‘go-to’ exercise. Always one to take an all-or-nothing approach and not knowing about building up the distance I often came home with a limp. However, I quickly got into it and signed up to do the Blenheim 10k in 2012. I achieved a time of 52:06 at the event and it took me about 3 years to beat the time. I joined the running club in 2014 after bumping into BDRC at the lake whilst I was jogging with one of our dogs. Since joining the club I've made many new friends and lost 2 stone. 2016 was a fantastic year for me churning out a total of 48 personal bests and I completed my first marathon in 04:35. A self confessed lover of running I also get great pleasure out of seeing others achieving their goals and seeing how much it means to them." "As a teenager I was a swimmer with flippers instead of feet and permanent goggle imprints hiding behind my glasses. I avoided running at all costs – especially the dreaded school cross country. Skip forward 20 years and after the birth of my twins in 2010 I was desperate to get a bit of fitness back and a little ‘me time’ too, so in a moment of madness I went for a jog around the block. A few weeks later I realised my legs were still attached and I hadn’t collapsed yet so maybe running wasn't so bad after all! Later that year I signed up for a Race for Life 5km in Milton Keynes and I survived! 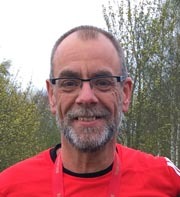 I carried on running for a year or so and completed a couple for 10km races and eventually a half marathon fundraising for the British Heart Foundation. For various reasons; life, work and a lack of motivation got in the way and I stopping running. In November 2015 the club started a Gentle Pace Group and with a nudge in the right direction from my family I decided to give it a go and have another bash at this running malarkey. This time the bug has well and truly bitten and I am hooked! I have now run approaching 10 half marathons, countless 10km and 5km races and thanks to the encouragement and support of the club my times have come down dramatically. In addition I was totally overwhelmed to have been awarded ‘Club Achiever’ of the year in 2016. 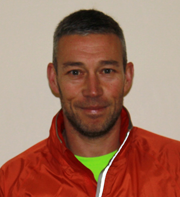 I have benefitted hugely from running and the support of the club so when the opportunity to take the Leadership in Running Fitness course came up I jumped at the chance. I really look forward to supporting others and seeing them benefit from their own achievements in running as I have. P.S. I’m the one they call ‘Froggles’! " "As a teenager I used to represent my school in the 400 yards (not metres – that’s how long ago it was…) however I don’t think I ever won any medals at the district athletics meetings. I joined the cross country team when I was in the sixth form, but in hindsight I was pretty awful (I was once told by another runner that the only thing that kept him going was that I sounded so dreadful he thought I was about to give up!). I did not run regularly again until I was in my mid fifties. I was doing a job that involved spending a lot of time at a desk, in my car and staying in hotels, so I was overweight and particularly unfit. My wife suggested the Couch to 5K (C25K) programme, and my ambition was to be able to do a Parkrun without stopping. After completing C25K and regularly doing parkrun I started losing weight, increasing my distance and entering races. 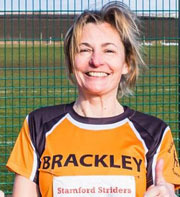 I thought about joining a running club and having seen how friendly and devoted to completing the race the BDRC members were at the Helmdon Hurler, I decided BDRC was the club for me! I have become addicted to running and love the positivity and inclusivity of the running community. I particularly enjoy supporting and encouraging new runners. 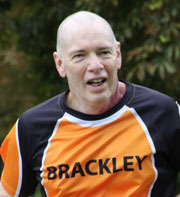 I am honoured usually to be the last BDRC man home in training and races, with my nose running faster than my legs!" "Hi I am the one they call Meadster. I didn't do much running in younger years, just swam competitively for Northampton and Northants. After I left school I didn't do any exercise until I took up Scuba Diving in 1987. Within 4 years I became an Instructor. Whilst diving I didn't do much exercise other than lifting a small weight in my right hand (Beer). I started to find I was struggling with my breathing underwater as I was so unhealthy. In 2004 I realised I needed to do something, so with some encouragement from friends (that already ran) and work colleagues that ran, I tried my first Blisworth Friday 5. Moving on 3 years I did my First London Marathon. I have now run most distances between 5k and 100k. Over the years I looked at joining clubs but didn't fancy any. In 2016 I contacted BDRC and was immediately encouraged to come down and meet the club by Gareth and Dawn. The members were so friendly and reassuring that I thought this was the club for me. Two years later my running has become stronger and so much more enjoyable. Thanks to the help and encouragement from the club, I have just completed my first three Ultras. Now I feel its time to give a bit back and to try and help encourage other club members to meet their goals. 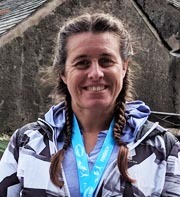 Its great seeing others achieving and watching them grow as runners"
"Was always very active participating in anything sporty in my youff, but my v.early 30's was when I started to get hooked on running, more by accident really. I did a local random unofficial 5k race, which by foul means, I won. From that, myself and a work colleague were 'volunteered' to run the Stratford half marathon to raise money for the local village charities. After achieving my target time of under 1:30, I kind of thought running might suit me, so next stage was obviously a marathon. After just about completing the 1996 Flora London Marathon, friends said joining CRJ running club would make a huge difference in my results. They weren't wrong, going 50 mins quicker in the 1997 FLM. I had many eventful years running with CRJ, achieving some great personal goals, but it took its toll on me, especially my achilles. It was during this time I got into road cycling. Nothing too competitive like crazy road racing, but doing small club TT’s, sportives and some awesome trips with cycling buddies to events in the UK and later the amazing Alps. Highlight was achieving Club des Cingles du Mont Ventoux in 2017… look it up, bloody fantastic. After moving to Brackley, I eventually swapped over to the mighty BDRC in 2014. Joining BDRC has been just as eventful, even somehow getting on the Club committee, which I'm sure they’ll regret… if they haven’t already! With achilles sorted and love for running now fully restored, being part of this crazy Club and seeing the massive progress members make has inspired me into getting back close to my best. Thought the only legitimate way to voice a few self-opinionated thoughts about the Club sessions, was if I contributed to them, so after some badgering by fellow BDRC's, I finally succumbed to doing the LiRF course. I look forward to leading some of the training sessions for you crazy lot." "At school I was always last in anything that involved running; the egg & spoon & sack races at primary school, XC, 100m, 200m, 400m and 1000m at secondary school! In fact, I didn’t really do any sport other than swimming, as I was told I was way too un-coordinated and a bit like a baby elephant! Come sixth form we could do whatever we wanted, so managed to get away with a bit of squash, rowing & golf – certainly not anything that involved running! My Uni days involved no sport at all (apart from dancing) and my working years began the same…..lots more dancing, with the added bonus of football, cricket & volleyball in our lunch breaks (to work off the bacon rolls!). Then along came the kiddies and even the dancing stopped. Roll on a few years and the sudden realisation that I was turning 40, was very unfit and not losing the ‘baby’ weight, I decided to enter the Great North Run for The Alzheimer’s Society. I started running………very slowly. At first, I struggled to run 500m, but gradually built up the miles. I managed the race in just over 2 hours…..and I enjoyed it. So much so, that I applied again the following year (2012) with my husband YT. At the beginning of 2013 I finally plucked up courage to join BDRC as a couple of friends had recently joined. I haven’t looked back. Since I joined the club I have made lots of new friends, completed 4 marathons and numerous other races. 2017 was a good year where I got a PB in every distance, including a sub 3.50 marathon in Edinburgh (a great ‘long-weekend social’ with a number of club members) , a sub 1.40 half marathon and even managed to win some silverware. I love the club, the enthusiasm of all the members and the fantastic team events & weekends away such as The Hilly 100 and the road trips 'Up North' for the Ladybower 20. I am now looking forward to leading a few sessions……however, please bear with me, as I am still as un-coordinated, in-flexible & un-bendy as I was back in my school days!" AKA: Choochi 'cos apparently I run like a train! "I avoided any kind of sport at school and then in my early twenties I started to enjoy swimming and aerobics classes. When our daughter Jess, was about 6 months old my lovely husband bought me a running machine that I didn’t know I wanted! However it fitted in perfectly with my lifestyle at the time, I then ventured out on the roads and entered a few ‘race for life’ events. 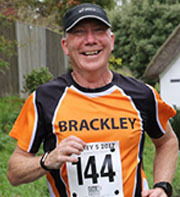 I decided to join a running club and although it took me a few weeks to summon up the courage, I attended a session at Brackley. Ten years on I’m still enjoying my weekly jaunts out with this fantastic group of enthusiasts. 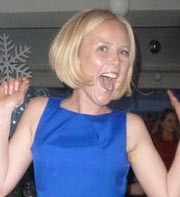 I have even persuaded husband Michael to join too, it only took 9 years of nagging! As a result of a contact through the club, I now volunteer for a charity called ‘Side by Side’ and go out for a weekly run with a gentleman who has early onset Alzheimer’s. We have lots of fun, and I find it very rewarding to help someone through something that I particularly enjoy. I also enjoy welcoming the club to our Summer runs around the Tusmore estate near where I live and the ice lollies that we consume afterwards, hence my nick name. I now also regularly swim cycle and participate in classes. I am not particularly fast and don’t expect PB’s anymore, but love the new challenges of club events like the X Country and the fabulous Hilly 100. It doesn’t matter if you have only just started running or you are already an accomplished competitor, there is a place for everyone in this active and friendly club." 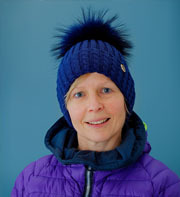 "At school I enjoyed gymnastics and running particularly the 1500m and cross country, I was never a sprinter, just plodded away and never gave up. Outside of school I was lucky enough to have my own pony and later horses. The gymnastics and running came in very handy with the horse riding as they were inclined to help me find new and elaborate ways of dismounting, normally at speed. Being flexible from the gymnastics allowed me to hit the floor / fence post / tree what ever was in my path in a safe manner saving me from injury, I would ping back to my feet and then run after the pony /horse. I continued horse riding into my early 30’s when I had to retire my horse due to navicular. Having 4 boys to keep alive and running a business from home meant I no longer had time for a horse. Adding to the fact that hitting the floor from novel dismounts was hurting, I no longer bounced back like I use to, I would hit the floor and stay there. I decided to keep the running bit and started running with my dogs. In my late 30’s a 6-month illness saw the running go pear shape along with my body and any fitness I has disappeared into oblivion. A couple of months after I turned 40, I saw an advert for a local beginners running group and joined. This was just the start. In January 2015 I did my 1st 5k dirt race, followed in June with the 10k Chicken Run. In November 2015 a friend told me about the running club’s Gentle Pace Group. I nervously went along and have never looked back. In 2017 I completed the Edinburgh Marathon. I will never be the fastest but love new challenges and the support you get from the club in completing them. 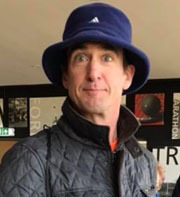 I’m a big fan of the team event which are great socials, the Hilly 100, Colworth Marathon Challenge, cross country races and any 24 hour relay races I’ve taken part in. I love being part of such a friendly and enthusiastic club. I look forward to supporting others in achieving their running goals and enjoying their running. "